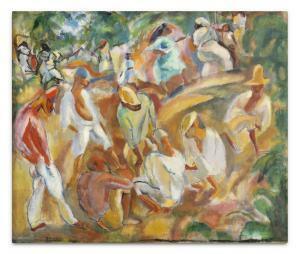 Find artworks, auction results, sale prices and pictures of Jules Pascin at auctions worldwide. 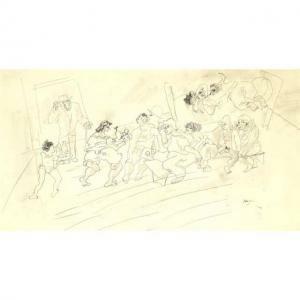 JULES PASCIN Group of 6 prints. Judith et Holopherne, drypoint, 1922. Edition of 100. 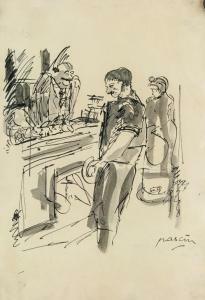 Signed in pencil, lower right * La Punition, etching and aquatint, 1930. 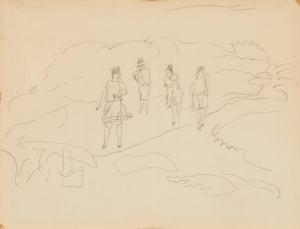 Signed in pencil, upper left * Deux jeunes femmes, mezzotint, 1929. Initialed in pencil, lower right * Les trois grâces, etching and aquatint, 1930. Edition of 100. Initialed in pencil, lower right * Les trois grâces, etching and aquatint, 1930. Edition of 100. 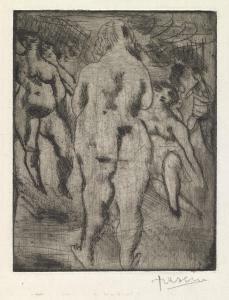 Signed in pencil, lower right * Six femmes nues, etching, 1929. Edition of 100. Signed in pencil, lower right. Various sizes and conditions. Very good impressions. Hemin 111, 155, 159, 170 and 171.